This is the first province of the Patagonian region. 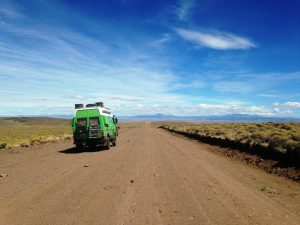 Before arriving at the corridor of the lakes, that is the most tourist area of ​​this province, we discovered a road from which we fell in love, the provincial route 50 that goes from Piedra del Águila to Junín de los Andes. This road is closed to traffic and we don’t understand why … After asking a few locals, we dared to drive it, as we were told that there was no problem and that they do it regularly with a Peugeot 206, so with cactus we were not going to have problem! 🙂 It was spectacular, that day there was a blue sky and a radiant sun and all that place was just for us. The landscape is formed by hills covered with shrubs and plants typical of the steppe and only a few trees. The terrain of the road is changing, some pieces of sand, others of land and most of gravel, and this road is traced following the harmony of the hills that surround it, making the trip a unique experience. During the tour we could also observe animals such as ñandús, a species of ostriches, and guanacos, a kind of llama. And in the background of all this beauty the imposing Andes mountain range. 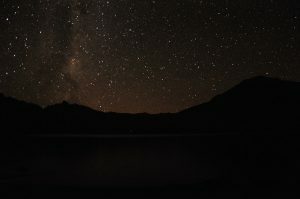 From there we went to San Martin de los Andes, where the “road of the seven lakes” begins, which runs along route 40 and ends in Villa la Angostura. This area reminds me the landscapes of the European Alps. The mountains that surround this route are full of trees and a very leafy vegetation, in winter, its peaks are covered with snow. And the villages are formed by wooden houses with sloping roofs with a very careful decoration. 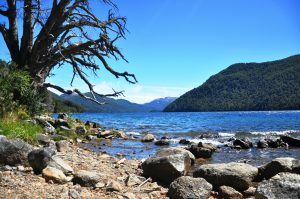 We visit the following lakes: Lacar Lake, Hermoso Lake and Nahuel Huapi Lake. And we also saw the beautiful Espejo Lake, Escondido Lake, Correntoso Lake, Falkner lake and Traful Lake. From Villa la Angostura we made a 24-kilometer hike to the Bosque de los Arrayanes, it’s a very beautiful place but our experience was not very good!!! It was too much for being the first trekking in our trip, it was exhausting! The last kilometers became endless and I also injured my knee… The worst of it was that during the way back was raining and it was extremely windy!